A dental implant is a medical piece that interfaces with the skull or jaw bone to hold up a dental prosthesis like a bridge, crown, denture, or to act as an orthodontic supporting anchor. Implants have become the treatment of choice to replace missing or lost teeth, and when done properly, the success rates have exceeded 95%. Dental implants were originally designed to deal with one of dentistry’s biggest problems, the lower removable complete denture, and they provide a very predictable and satisfying solution. 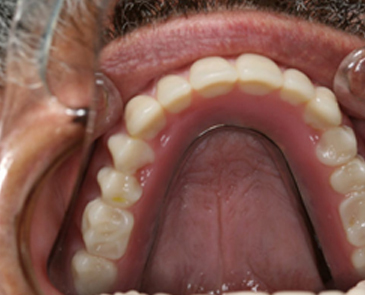 For some, ordinary dentures are simply not possible or comfortable, owing to sore spots, gagging or poor ridges. 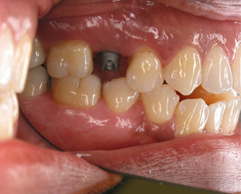 Plus, when replacing a single tooth, ordinary bridges need to be attached to teeth on both sides of the gap left by the lost or missing tooth. A benefit of dental implants is that no adjoining teeth need to be ground down or prepared to clasp your new replacement teeth/tooth in place. 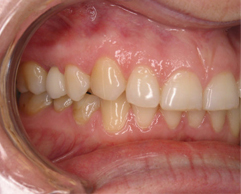 In order to receive implants, you need to have healthy gums along with sufficient bone to back the implant. You should also be prepared to follow a comprehensive maintenance routine to ensure the longevity of your dental implants. 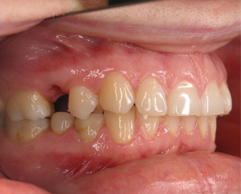 If left untreated, peri-implant disease (gum disease around implants) can result in gum infection, soreness, bleeding and general discomfort. Implants are a well-established, safe, and a long-term treatment. Due to the fusing process of the artificial root to the jaw bone, the final results offer a predictable and strong outcome that can last for many, many years, provided that you take proper care of it. If you are faced with issues, and are looking for a long-term solution, then dental implants might be an option worth taking into account. In order to determine if you are a good candidate for dental implants, get in touch with us today and we will determine precisely how you will be able to benefit from the procedure.Implants are a smart, long-term solution for the right candidate. Due to the fusing process of the artificial root to the jaw bone, the results provide a strong, predictable result that can last for many years. To determine if you are a good candidate for this procedure, please contact our office or request an appointment here. All photos on this website are from the office of Dr. Tim Reid. Photographs are for informational purposes only because individual treatment results will vary from patient to patient. Some patients may not be candidates for treatment.